The River Tiflos originates from Mount Dikaios and flows into the bay of Kissamos. It passes through the Gorge Topolia and it is located in the western part of the prefecture of Chania. Alongside the gorge passes also the road that leads to Elafonissi, one of the most famous beaches of Crete. The entrance to the gorge of Topolia is near the village Strovles at an altitude of 450 meters and its exit is near the village Topolia. 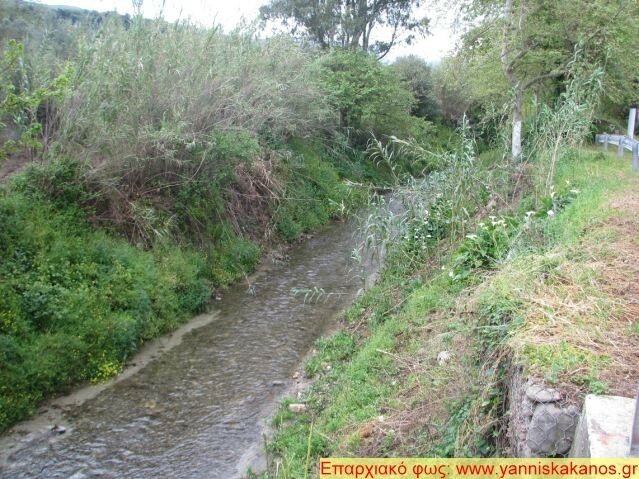 River Tiflos contributes substantially to the maintenance of biodiversity in the canyon, as living there are wild species of animals, birds and rare endemic plants of Crete. The riverbed of Tiflos is surrounded with lush plants and large trees, such as platanus, olive trees, kermes oaks, flori, strawberry trees and zourides. In this canyon, according to tradition, lived fairies and pretty nymph Vritomarti, who was worshiped on the island during the Minoan period and who drank water from the River Tiflos.